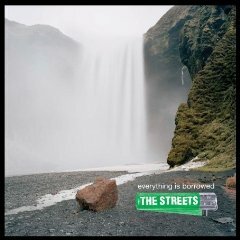 The Streets is a band I’m only now properly discovering. This album is the type to make me want to go back and review their entire past catalogue. Whilst the ever-present “Mockney” accent and the distinct ‘speaking singing’ style is an interesting curiosity in the ‘Dry Your Eyes Mate’ track (if for you, like me, this was your first experience of The Streets), there is a lot more to it than meets the eye. The Streets’ lyrics are thoughtful, sometimes abrupt and confronting and if not, poignent or funny. However, the point of the ‘speaking’ style is not so much about profiling the rich accent, as much as it is about making sure that you hear and, perhaps even, consider the message. All this is not to say that the music is not also of merit – it is. Whilst the compositions are straightforward, the range of style is quite wide – tending toward the jingle but often with hip hop bent.